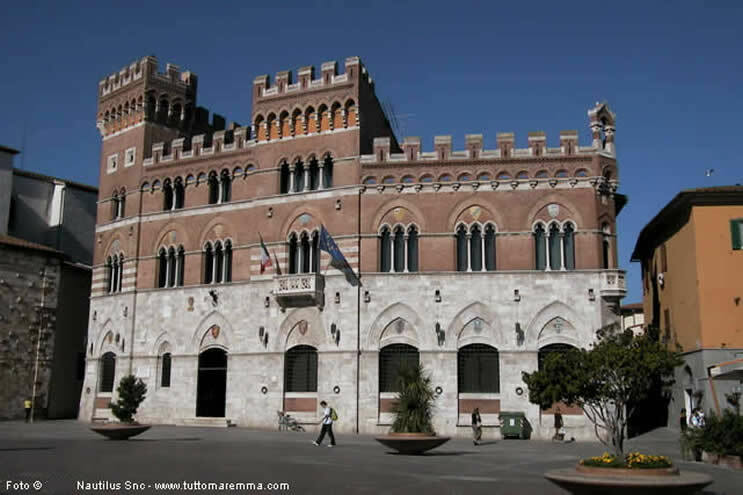 Grosseto: a travel guide to the city of Grosseto, hotel, farm holidays, accommodation, real estate, campsites, rent a car, beach, sightseeing, photo gallery, top things to see. Grosseto is Maremma's main town and stretches along the Ombrone river valley, close to the coast. This town developed later than others most ancient Maremma's villages, presumably it dates back to 935, when Roselle was fully destroyed by the Saracene pirates. The old city centre is very characteristic, enclosed by the Medicean walls which still keep their original shape. What's more, an extended pedestrian area makes this town particularly appealing and people-friendly.